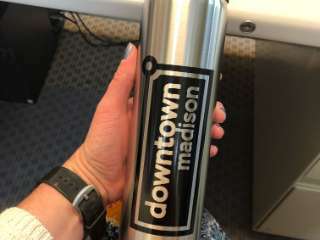 Share your love of Downtown Madison and our unique special events with a purchase of some “logo wear”. 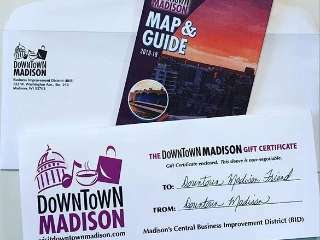 Or order a Downtown Madison Gift Certificate. 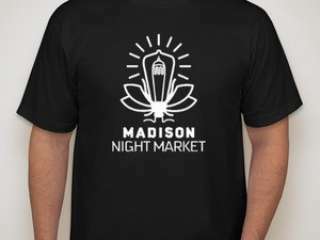 Black Madison Night Market T-shirt with Glow in the dark Ink. Issued as paper certificates in increments of $5.